The Indigenous People of Biafra on Saturday condemned the sacking of Commissioners and Local Government chairmen in the 27 council areas of Imo State by the state Governor, Owelle Rochas Okorocha, alleging that the action was because of the success of the sit-at-home order in the state. In a press statement made available to our reporter in Awka, Anambra State by the IPOB’s Media and Publicity Secretary, Emma Powerful, the group said Okorocha had instructed his commissioners and council chiefs not to allow the order to take place in the state. 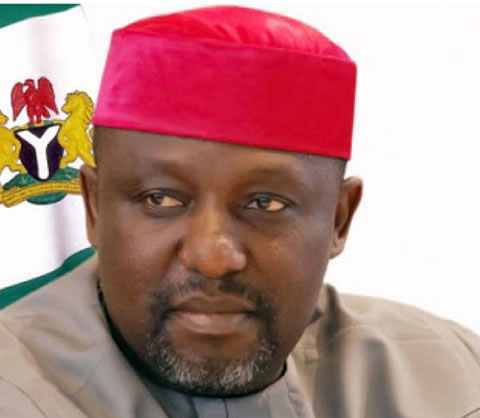 Okorocha mandated his commissioners and his LGA’s transitional chairmen in all the 27 Local Government Areas of Imo State to move into the villages and communities to sensitized them to boycott the sit-at- home order at all cost, unfortunately, those mandated to do so could not do it because power belongs to the masses not those in Government. Okorocha dissolved the commissioners and the leadership of all the LGA’s transitional chairmen in 27 Local Government Areas of Imo State because of their inability to do the job he paid for to discourage our people not to comply of the sit at home order issued by our leader Mazi Nnamdi Kanu on 30th of May 2017 in honour and remembrance of our fallen heroes and heroines who paid the ultimate price during the genocidal war against our people in 1967 and 1970.